Barack Obama will be a guest on the Thursday, July 29th edition of ABC's The View, marking the first time a sitting president has visited a daytime talk show, says ABC. It's such a big deal that co-host and executive producer Barbara Walters also will join the panel while still recovering from May's heart valve replacement surgery. Walters noted that Obama previously appeared on The View while still a senator while future First Lady Michelle Obama co-hosted the program in June 2008. "This shows that both the President and First Lady feel that our show is an influential and important source of information and news," Walters crowed in a publicity release, while also announcing that she'll return to The View full-time in September. 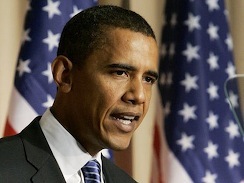 Obama's appearance, to be taped on Wednesday, July 28th, is part of the show's ongoing "Red, White & View" initiative. ***Ostensibly a news magazine program, ABC's 20/20 will sell out to the entertainment division on Monday, July 26th when it presents a special "The Stories Behind the Rose" hour tied to The Bachelor. Deborah Roberts and Chris Connelly co-anchor, with former Bachelor/Dancing with the Stars contestant Melissa Rycroft popping in as a "special correspondent." Maybe 20/20 next can do a special hour on all that mud-slinging during ABC's Wipeout. 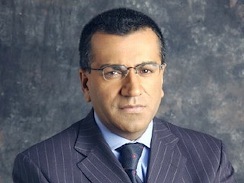 ***Martin Bashir, a charter Nightline anchor since October 2005 after the Ted Koppel era ended, has jumped to rival NBC/MSNBC. He'll be a regular contributor to NBC's Dateline and also host a weekday afternoon program on NBC. Bashir calls it "an enormous privilege" in a publicity release. ABC is replacing Bashir on Nightline with one of its in-house anchor/correspondents, Bill Weir. ***Finally, Sunday, Aug. 1st will be Christiane Amanpour's debut as the new host of ABC's Sunday morning This Week. The longtime CNN international correspondent is succeeding interim host Jake Tapper, who frankly is a better fit for the inside-the-Beltway nature of the program.